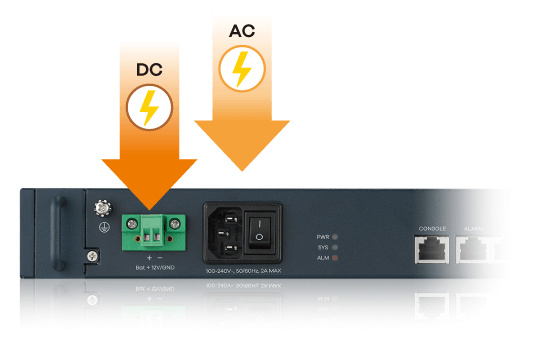 With two Gigabit combo ports to connect upper layer aggregation networks, the VES1724 can support low-concentration interconnection from the subscriber ports to the network interface ports. The Zyxel VES1724 Series provides various management methods: local console port, Telnet, SSH, HTTP/HTTPS, and SNMP v1/v2/v3-based EMS (NetAtlas EMS). The management functions include alarm and status surveillance, configuration management, performance management and fault management. The VES1724 Series allows multiple administrative accounts with 3-level access privileges. The NetAtlas EMS also provides view-based MIB management that partial MIB objects can be defined and accessed for customization and security reasons. 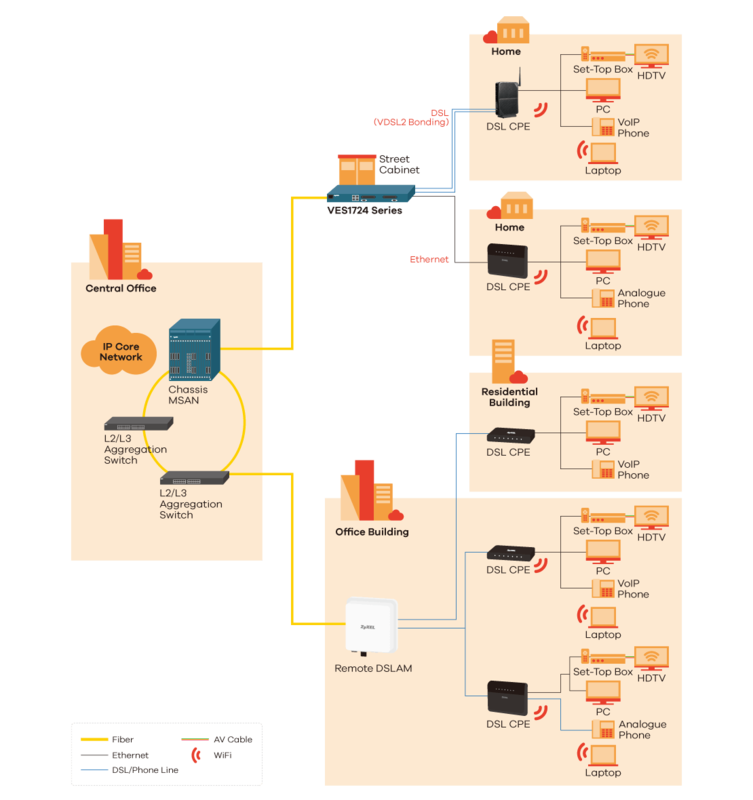 In addition, cluster management enables multiple MSAN administration sessions with a single/master IP address, while XML-based northbound interface is also equipped to interoperate with external OSS systems. The VES1724 Series conforms to G.993.2, G994.1 and G.997.1 to ensure the interoperability with standard-compliant VDSL CPE. The VES1724 Series supports 30a profile with 100 Mbps in both upstream and downstream traffics. 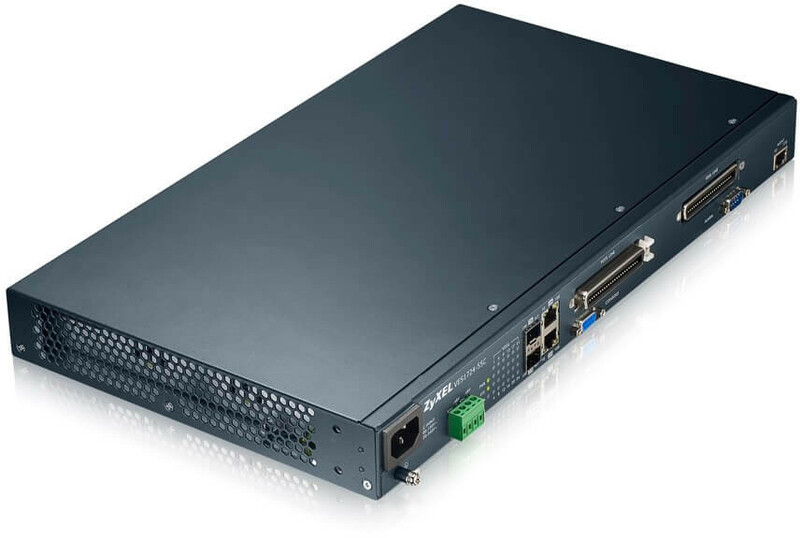 With two Gigabit combo ports to connect upper layer aggregation networks, the VES1724 Series can support low-concentration interconnection from the subscriber ports to the network interface ports. * 17a profile only when vectoring enable. ** 1. VES1724-55C and VES1724-58V support 17a profile. 2. VES1724-56B2 supports 30a profile. 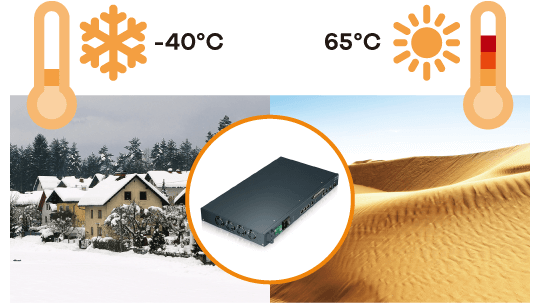 The Zyxel VES1724 Series can operate in the environment with temperature from -40°C to 65°C, which meets various Fiber-to-the-Node and Fiber-to-the-Curb environment conditions worldwide. Moreover, for the VES1724-58V, the rotational speed of the fan module is automatically adjusted according to the system temperature. With the fanless design for the VES1724-55C/56B2, the feature not only extends the MTBF, but also has lower audible noise, which is important if the VES1724 Series is installed in a residential neighborhood. The fan module is swappable in order to reduce the maintenance cost in the field. 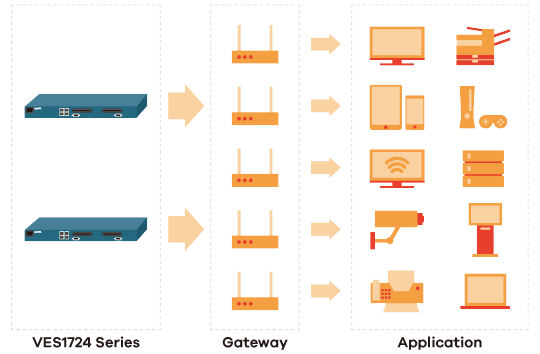 The VES1724 Series supports IGMP snooping to prevent unnecessary forwarding of multicast traffic to all subscribers and thus optimizes bandwidth utilization for multicast applications such as broadcast video. 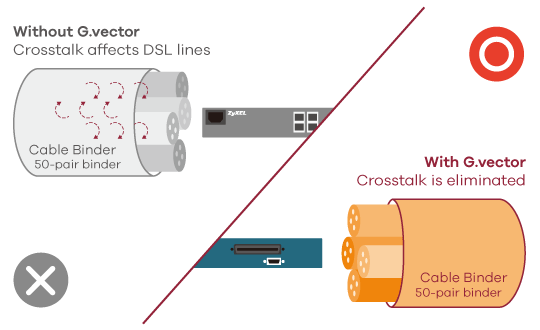 The VES1724 Series also supports the multicast VLAN feature that distributes the source to all the VLANs requesting the video stream. With a built-in splitter over POTS, the VES1724 Series allows the operators to provide triple-play services over the same copper wire. 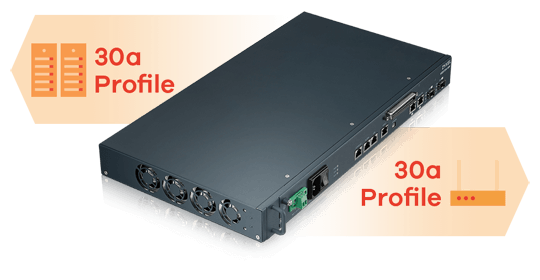 The Zyxel VES1724-58V has SIP and H.248 enabled, with which analog voice signals coming from subscriber lines can be digitalized and transmitted to the SIP or H.248 voice core. The capability enables operators to turn traditional voice exchange into VoIP core without any impact on the subscriber side. 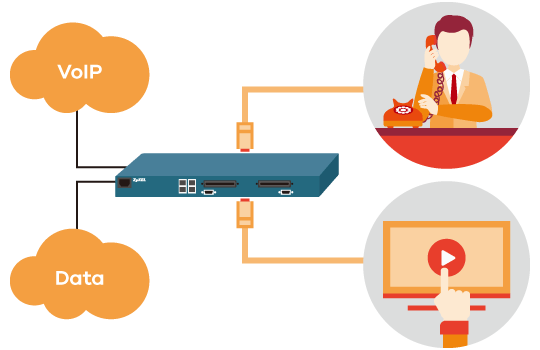 It also makes the migration pace to the entire VoIP infrastructure controllable. The Zyxel VES1724 Series is a temperature-hardened remote system with dual power supply that can be powered by either AC or DC sources. The operator staff can easily power the mini MSAN and put it in service based on the power facility type at the installation site. Furthermore, because the VES1724-58V embedded battery charger function, customer doesn’t need an additional SMR for powering the VES1724-58V and charging backup at the same time. It will reduce CAPEX and the effort for installation. Download the Zyxel VES1724 Series Datasheet (PDF).